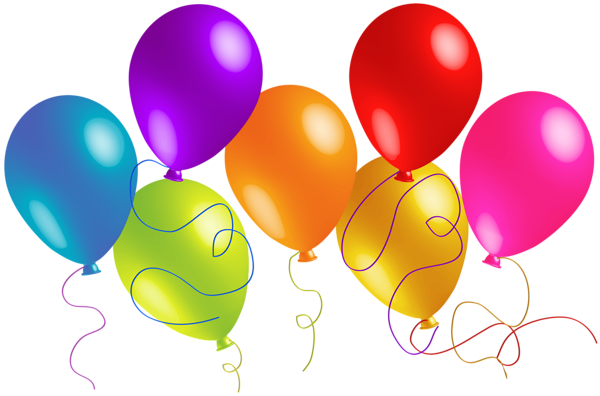 Book your birthday or team season-end party now to secure your date! We are having a blast with our Empire parties!! 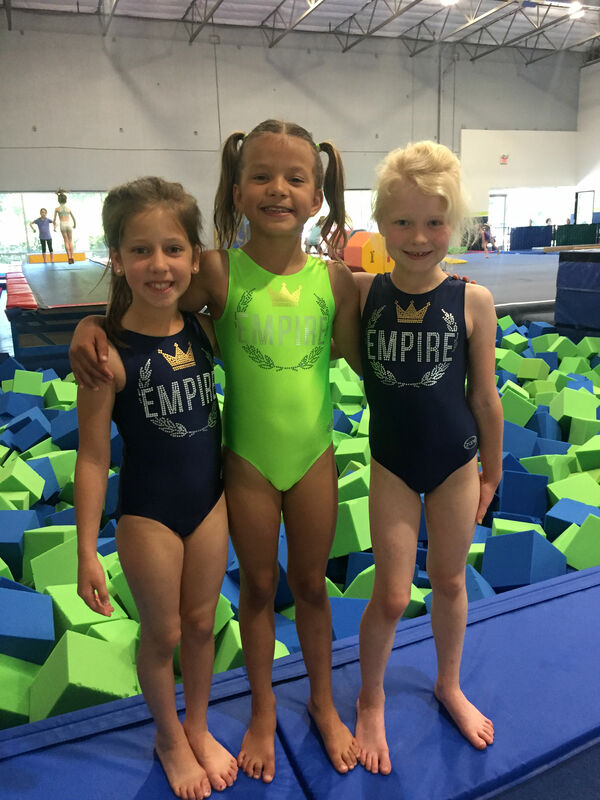 Empire Gymnastics Center is a fun and exciting facility where children and adolescents of all abilities & skill levels can come and receive instruction in gymnastics, tumbling as well as other various activities that promote a healthy active lifestyle for kids! 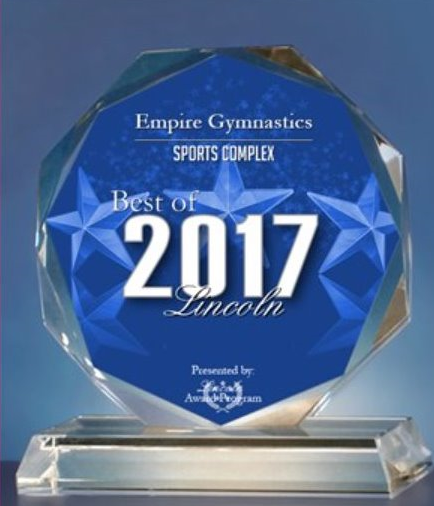 Proud recipients of the 2017 & 2018 Best of Lincoln Award for Sports Complex! 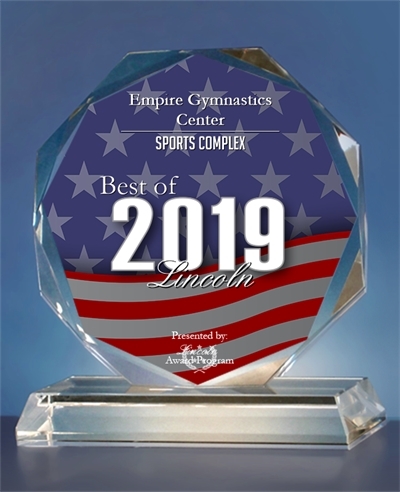 Proud recipients of the 2017, 2018 & 2019 Best of Lincoln Award for Sports Complex! Use this link to register your family, view classes and enroll you kids! 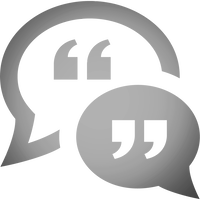 Learn more about the classes we offer here. 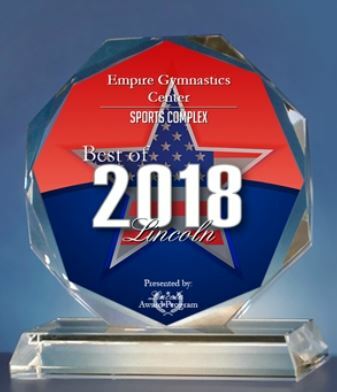 Empire Gymnastics Center is hands down the best gym in the area. My daughter has trained at a couple of other gyms in the area but when we found out Mike was opening a new gym we knew we had to follow him. We love the owner Mike. You can tell he truly cares about every kid that comes to Empire. Both of the team coaches are the best out there. They push the kids in a loving way that makes the kids want to work hard. I highly recommend Empire Gymnastics Center. We are so happy with this gym. Everyone is so encouraging and truly cares about the kids. They actually spend one on one time with each child helping them. We can’t say enough good things about this place. All the coaches are amazing, friendly, kind, and share their love of the sport with all the gymnasts! Coach Mike has a dynamic way with the boys and his balance of technique, strengthening, and fun are perfect! Here at Empire we have several skill based levels with all of our programs we offer providing the proper progressions to help all of our athletes reach and achieve their goals as safely as possible. 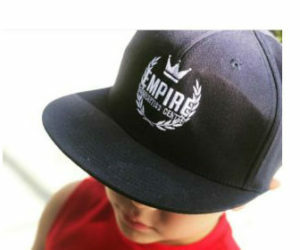 Empire Gear On Sale Now!